The recent U.S. government shutdown sent shockwaves felt around the world. At a cost of $24 billion or $62.5 million per hour for 16 days, many people may not realize that there is another example of government misappropriation that is far more sinister. It involves a mechanism that has swindled U.S. taxpayers out of hundreds of millions. While essential government services that help millions of ordinary people were shut down, Radio and TV Marti kept broadcasting. Launched on May 20, 1985, through a top secret directive signed by President Ronald Reagan, Radio Marti (and later, starting in 1990 TV Marti) is a U.S. taxpayer funded operation that serves as the propaganda arm of the right-wing Miami Cuban exile community. 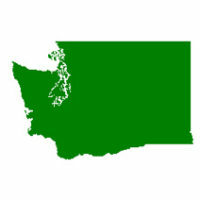 Early on, the United States Information Agency (USIA), in Washington, D.C. assumed responsibility for the news content of government funded media. 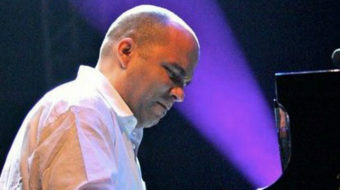 In 1996, Radio Marti relocated to the Cuban American community in Miami. Under the control of Jorge Mas Canosa and the Cuban American National Foundation, the radio station became a “rogue operation” free from oversight by more established institutional government run channels such as Voice of America. After the USIA offices closed in November 1999, the Office of Cuba Broadcasting became responsible for non-military government funded media under the authority of a Broadcast Board of Governors (BBG). During the period from 1996 – 2001, however, the Cuban exile movement was relatively unhindered by government restraint and legal control (recall the Elian Gonzalez case). The First Amendment right to freedom of the press and right to assemble is an important tool in a democratic society. A mechanism was developed by the bureaucracy whereby telecommunication media could beam propaganda to foreign audiences through Radio/TV Marti and other stations if approved by the BBG. However, federal law (the Smith-Mundt Act) prohibits such media from propaganda activities aimed at domestic U.S. audiences. 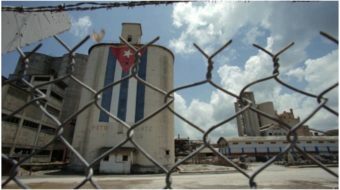 The case of the “Cuban 5,” Cuban agents who were arrested in 1998 and convicted in 2001 for monitoring the activities of violence prone anti-Castro militants in the Cuban exile community in Miami, eventually began to have implications for Radio and TV Marti. During the trial of the Cuban 5, the local, Cuban exile controlled media, created a lynch mob atmosphere, which, as the defense attorneys pointed out, made a fair trial impossible. Yet the judge would not allow a change of venue. 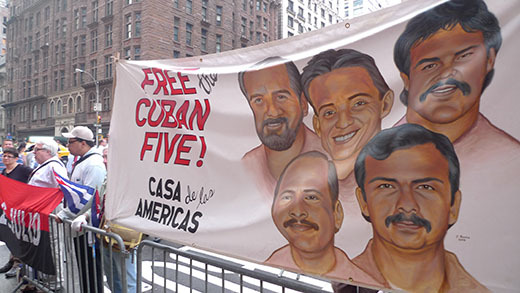 Not until 2006, when the story broke in the Miami Herald that news articles and opinion concerning the Cuban Five defendants resulted from “paid agents” of the U.S. government, did the reason for a hostile trial atmosphere and intimidation of the community begin to make sense. Furthermore, anti-Cuban mob mentality was the outcome of the use of the same inflammatory rhetoric designed to influence foreign listeners, but, instead, unleashed on the airwaves of U.S, stations in Miami-Dade County where a controversial trial was taking place. Broadcasts that misrepresent fact served only to cover up the truth. Several newspaper reporters in Miami were fired by their papers when their editors discovered that they had been secretly receiving subsidies from Radio/TV Marti while reporting on the trial and other Cuba related matters. A federal judge has now ordered the United States government to reveal more details about which journalists were subsidized by the U.S. government to create negative propaganda against the defendants in the Cuban 5 trial, and other specifics of the operation, which may well have violated federal law, as well as impugning the integrity of the whole trial process. At writing, the government has not yet responded to the court order. The shame rests with the refusal by the U.S. Congress to recognize that the people of both the U.S. and Cuba are the victims of a failed policy linked to a by-gone era. Taxpayers were defrauded because of a massive conflict of interest linked to an ongoing cover up. The Smith-Mundt Act of 1948 prohibits the domestic dissemination of information about the U.S., its people and its policies for propaganda purposes. The jury was evidently misled by the judge, prosecutors, attorneys, journalists and reporters who failed their duty to observe due process and the right to a fair and impartial trial. The revolving door created to protect so-called national security was in fact a conspiracy that can only be unraveled by Congress. If transparency in the State Department seems to be the problem, the Justice Department should step in and issue an order to release information requested by defense attorneys. All the convictions should be thrown out and the Cuban 5 must be returned unconditionally to their homeland.